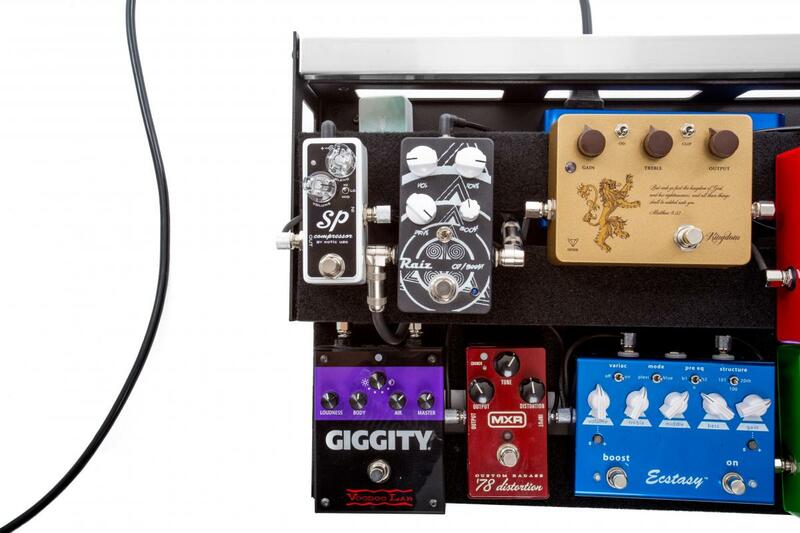 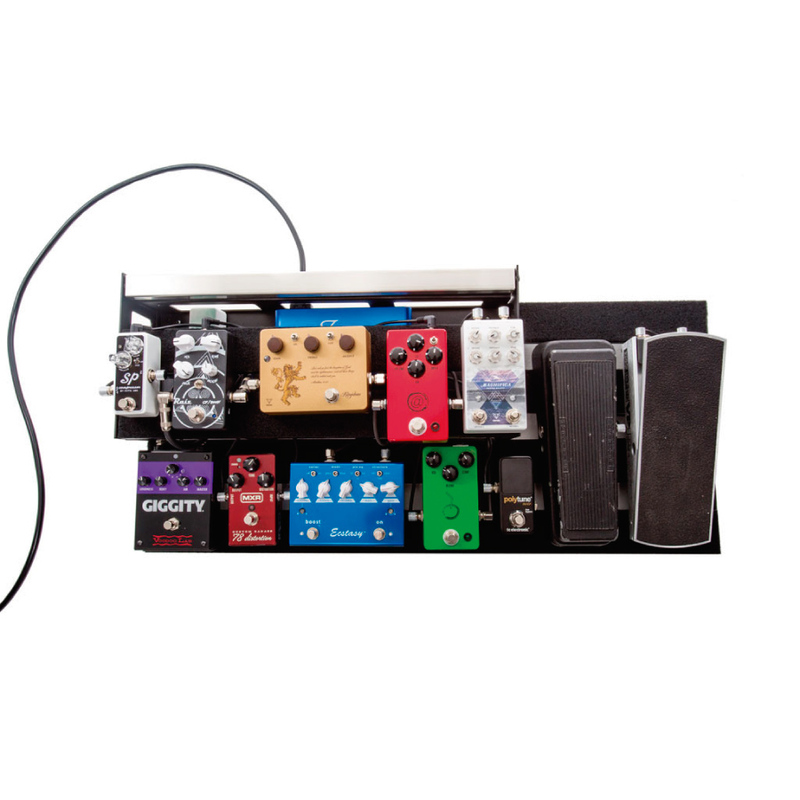 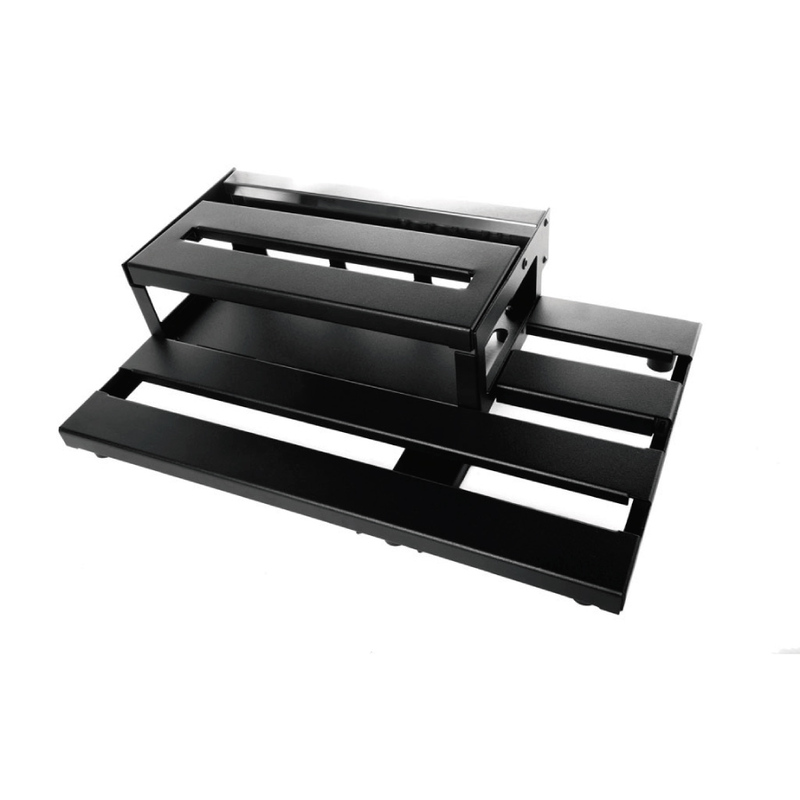 An atractive and innovative pedalboard with plenty of space to accomodate your pedal arrangement in a small footprint. 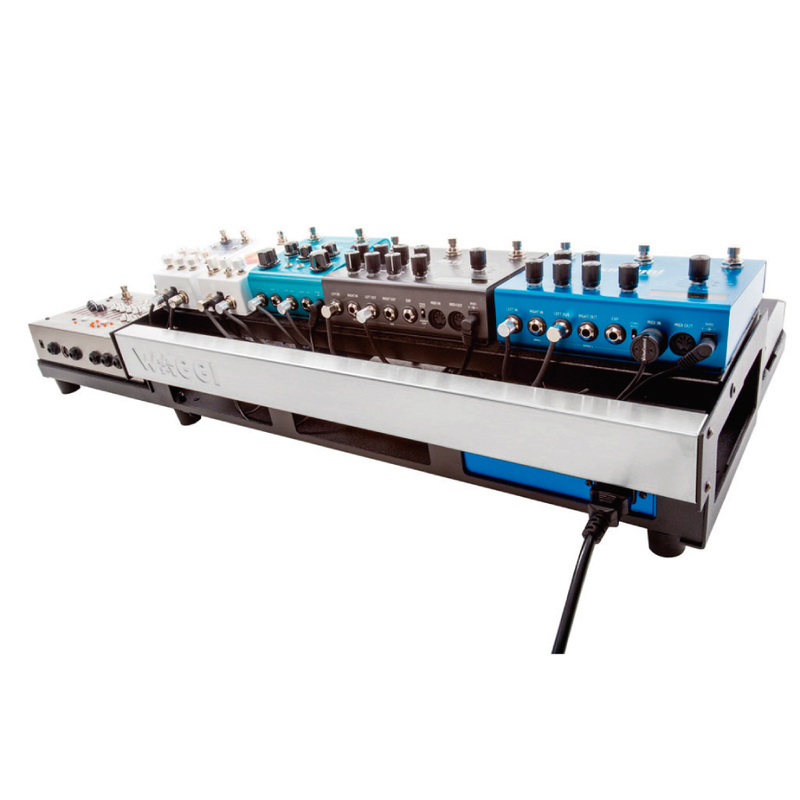 Specially designed to accomodate a wide variety of third-party pedalboard components including cables, expression pedals, patch boxes and loop switchers, plus most of the power supplies needed for them to operate. 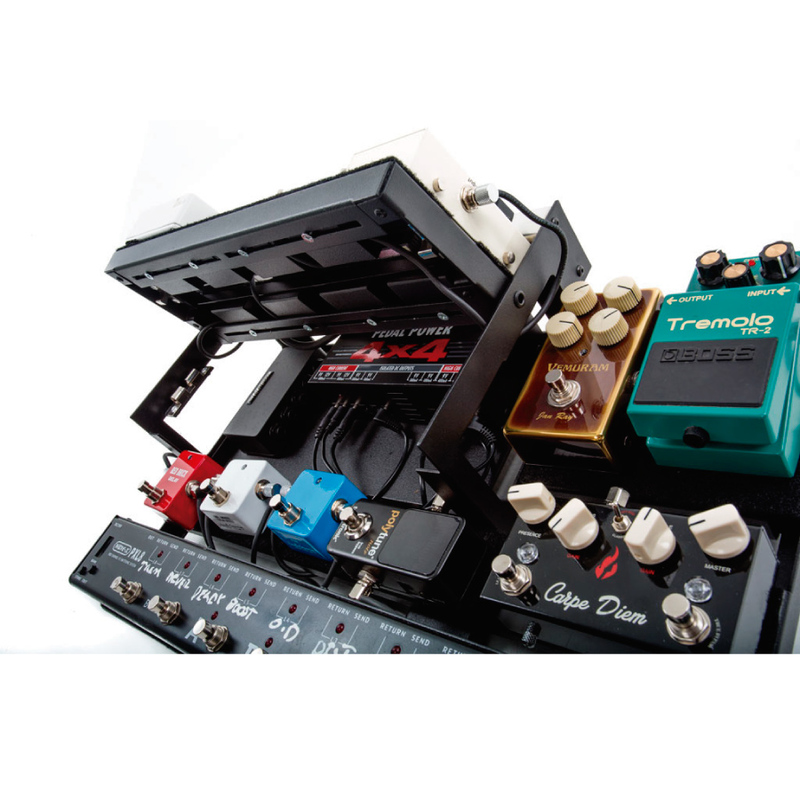 Three areas to create the perfect pedal arrangement for you: An easily accesible front deck, a spacious side deck to accomodate larger expression pedals, and a hinged upper deck that also provides extra storage underneath for power supplies, patch boxes and cables... or even more pedals! 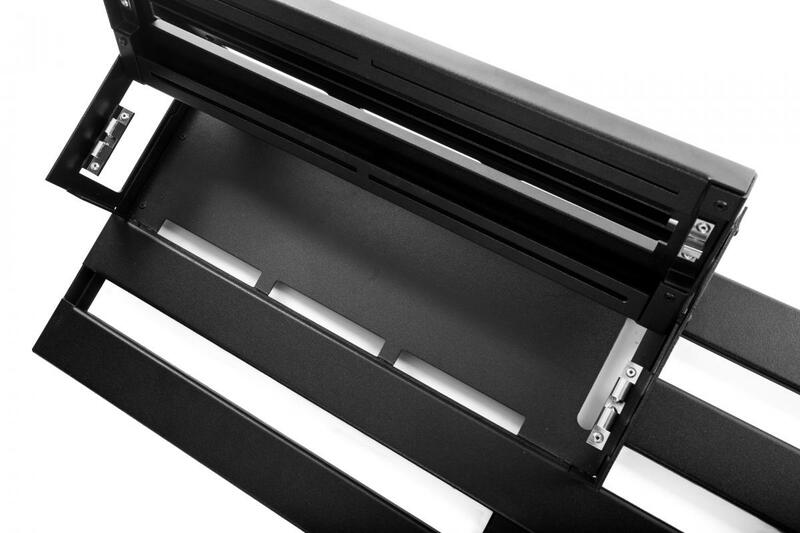 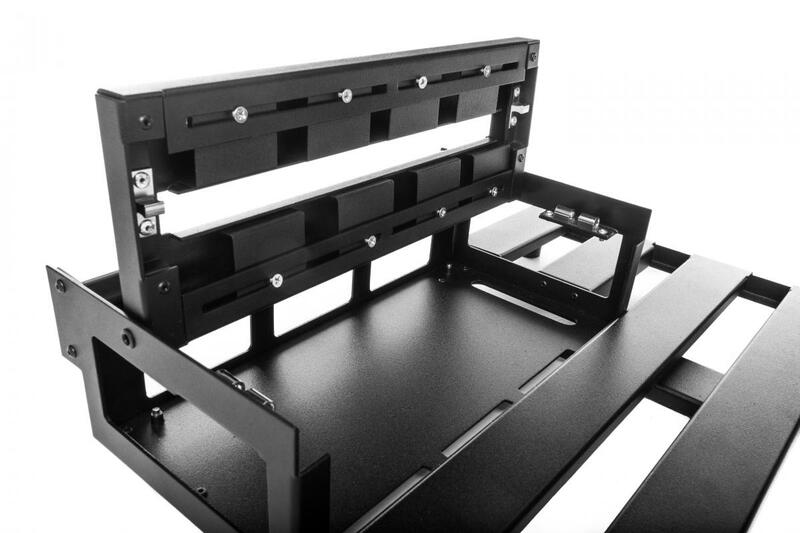 Multiple side, rear and bottom cut-outs to allow for path connections to pass through with ease, and its integrated under-rail Tidy-Cables management system helps keep your audio and power cables neatly managed and organized. 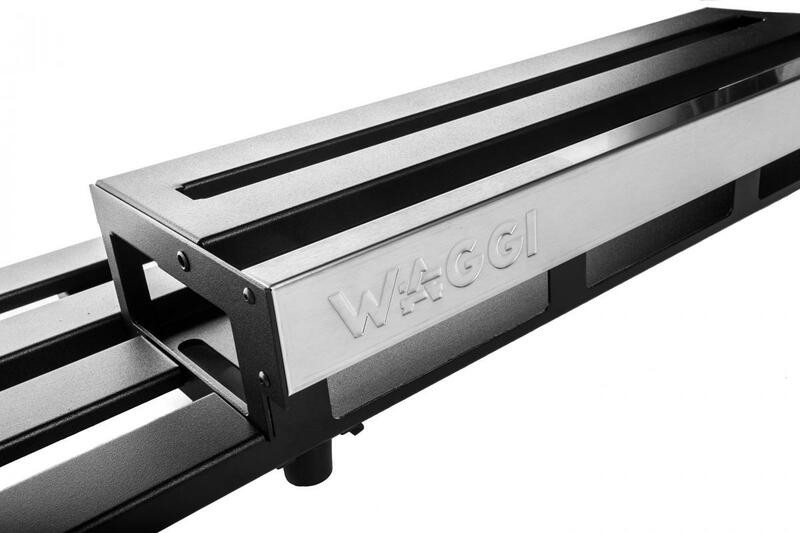 Tough and light to carry. 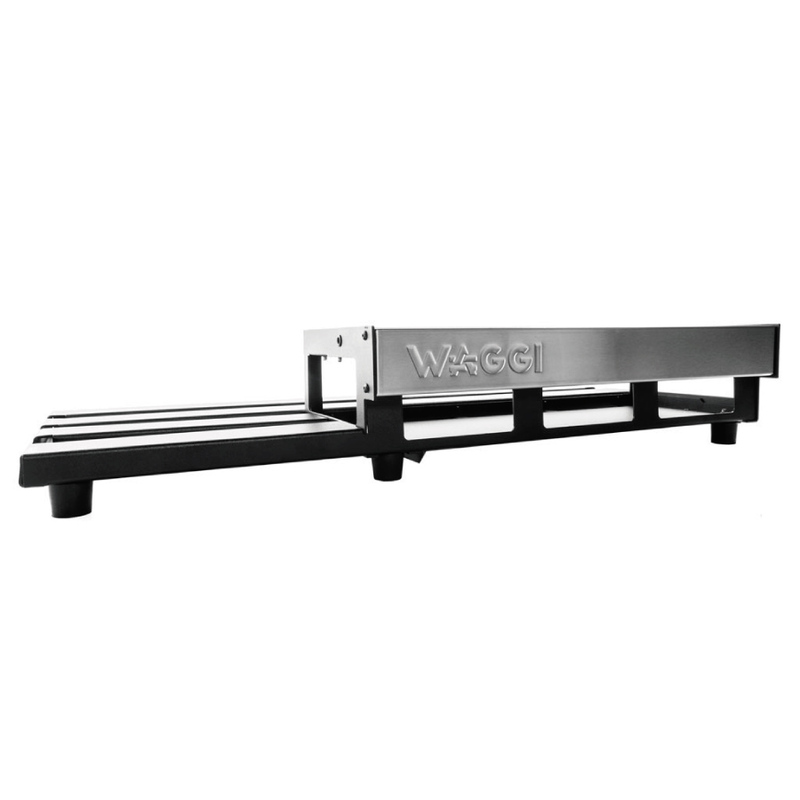 Constructed from durable lightweight aluminum with a stylish stainless steel back panel for an uncluttered audience view and comes with a padded carrying case for safe and easy transport. 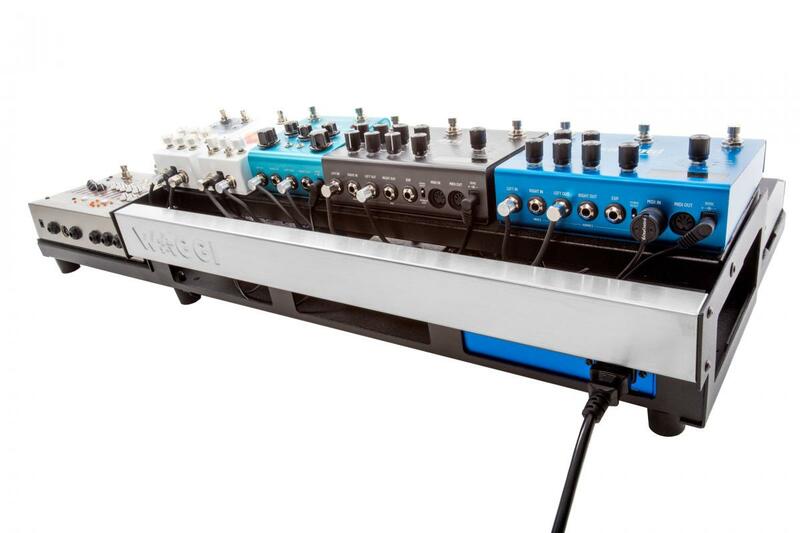 Keep your pedalboard cables neatly managed and organized with our Tidy Cables management system.Just run your audio and power cables in the under‐rail channels.